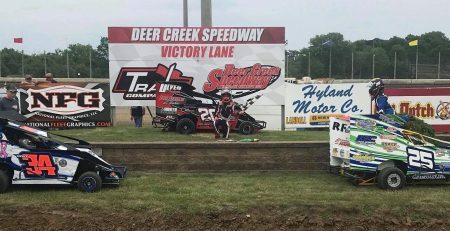 Sunday will become Funday at Deer Creek Speedway as the World of Outlaw Late Model Series is scheduled to tackle the recently resurfaced high banks. 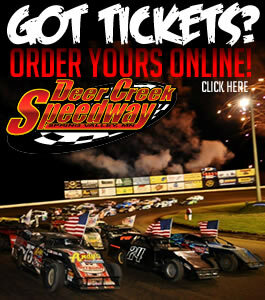 SPRING VALLEY, MN – July 13, 2014: Spread the word that the place to be this Sunday afternoon is Deer Creek Speedway in Spring Valley, MN. 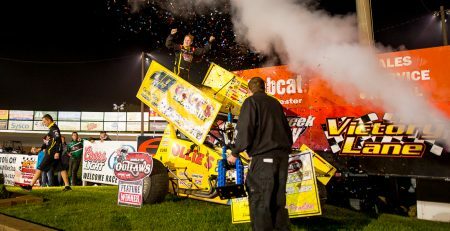 The Southern Minnesota Speed-Plant, located 15 miles South of Rochester, MN on Highway 63, has set the stage for the historic NAPA Auto Parts Gopher 50. 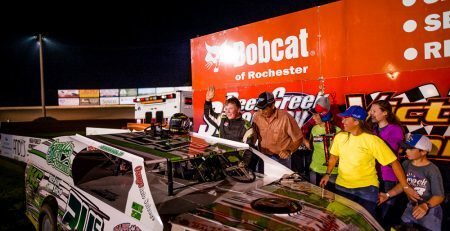 The World of Outlaw Late Model Series will headline the event is which slated to pay $10,000 to the win and $700 to start. An additional $1,000 will be up for grabs for the feature winner and $100 bonus for heat races for winners who participate in the NAPA Auto Parts bonus program. 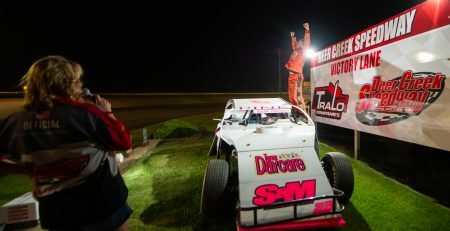 The great folks at NAPA Auto Parts have also put some extra cash up for grabs in the modified division as well! To qualify drivers simply have to display the famous NAPA Auto Parts logo on their car. Heat race winners will receive a $100 bonus and the feature winner will take home an additional $1,000 if they are running the provided sticker. Tickets will be available at the speedway on the day of the event but fans are urged to get there early to ensure they get a good seat. Adult grandstand tickets are $30, kids 12 & under are $15. Pit passes are $35 and can be purchased at the pit gate entrance.